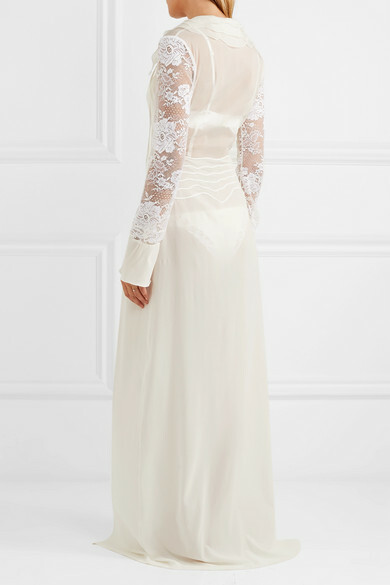 On your wedding day you want to feel beautiful from the moment you start getting ready, and La Perla's 'Desert Rose' ivory robe is designed with this in mind. This piece has a silk-blend organza bodice, Leavers lace sleeves and a stretch-silk georgette skirt - it feels wonderfully lightweight and airy. There is also a matching bra and briefs. Wear it with: Jennie Kwon Designs Ring, I+I Ring.